When you're on a mountain-top during a rather misty sunrise, the light can be both diffused and golden. Photographs taken at this time can be very dreamy and unreal. 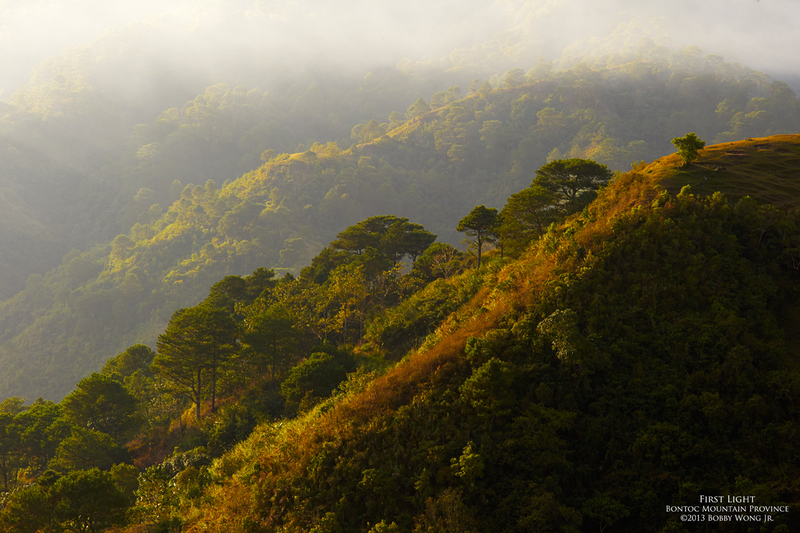 We were on a slope of a massive mountain range surrounding the town of Bontoc in the Mountain Province, patiently waiting for the sun to return. When it did, and because the light came from the horizon, only the shoulders of those mountain facing the sun lit up. We were there to photograph sunrise, but it sometimes pays to look away to see how the rest of the landscape looks like at this time of the day. Exquisite. Enjoy.